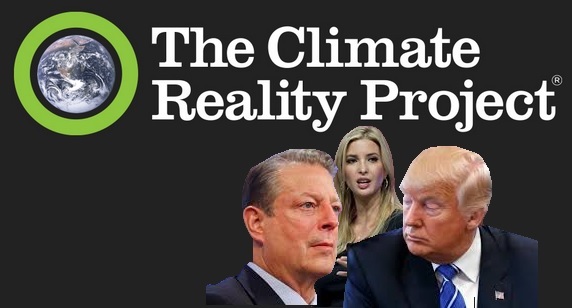 Environmentalists have been given a much-needed infusion of hope after Ivanka Trump invited Al Gore to discuss climate change with her father. A lot of environmentalists are grasping at straws hoping to find some pretext for optimism as the inauguration of a climate denying science hating president draws near. As we count down to the start of these dark days, the meeting that took place between Al Gore and Donald Trump is as good a reason as we will find for climate optimism this year. Trump is on record as a climate denier who has dismissed global warming as a Chinese hoax. If Trump makes good on his promises to kill the Paris Agreement, expand fossil fuel production, eviscerate the EPA and eradicate environmental regulation, he would push us past climate tipping points and send the globe hurtling towards a climate catastrophe. However, in a Times interview, Trump said that he had an "open mind" on climate change. He even said "I think there is some connectivity," between human activities and climate change. Although this was subsequently walked back by his chief of staff Rince Priebus, it was nonetheless a statement that surprised many. Former Vice President, Presidential Candidate and Nobel Prize winner Al Gore has devoted his life to climate advocacy. He is well known for his groundbreaking climate documentary, "An Inconvenient Truth". Gore called the 90 minute meeting at Trump Tower in Manhatten "productive". "I had a lengthy and very productive session with the President-elect," Gore said, according to the pool report. "It was a sincere search for areas of common ground. I had a meeting beforehand with Ivanka Trump. The bulk of the time was with the President-elect, Donald Trump. I found it an extremely interesting conversation, and to be continued, and I'm just going to leave it at that." This is quite a different tone for Gore who had previously said that a Trump administration would augur a "climate catastrophe". The excitement of environmentalists is tempered by the news that Trump is considering Rex Tillerson, the head of Exxon Mobil for the job of secretary of state. Although Exxon has embraced the Paris Agreement the company's has a history of subterfuge. The real story here is Ivanka Trump. She was the one who reached out to Gore. When they met she was said to have demonstrated a firm grasp of the subject. Many hope that it will rub off on her father. The Washington post reports that an anonymous Gore associate said they were “impressed by her [Ivanka's] thoughtful comments and framing on the issue...“ She clearly is an emissary, and was on this one,” the associate said. She is among her father's most trusted advisors and this could bode well for climate action (or perhaps a little less destruction). The post also reported that Leonardo DiCaprio gave Ivanka a copy of his new National Geographic documentary on climate change, Before the Flood. The actor along with Terry Tamminen, the CEO of the Leonardo DiCaprio Foundation (LDF), gave a presentation to the President-Elect, his daughter Ivanka, and other members of Trump’s team on the job creating potential of renewable energy. Ivanka may be the only adult in the room. So far Trump has assembled a hodgepodge of oil executives and climate deniers. One of the most egregious appointments is Myron Ebell a science hating climate denier. To add insult to injury Ebell will oversee the transition at the Environmental Protection Agency (EPA). To head the EPA Trump has tapped Scott Pruitt. Many are praying that Ivanka will use her influence as first daughter to advocate for climate action. According to the New York Times, this is not completely without precedent. In May 2008, she co-hosted an awards gala at the United Nations co-sponsored by a group called Friends of Climate Change. In 2009, Ivanka, her father, and two brothers added their names to a letter from business leaders calling for climate action.